It is important to note that in the Jewish tradition, Jewish boy were educated in the Talmud or the laws and prophets. Upon completion of that – at age 15, they were tested by a rabbi and if accepted they followed the rabbi for the next 15 years and were called talmidim. At age 30 they began their own ministry. To achieve talmidim status they had to be tested and deemed qualified to follow a rabbi. •	First, He performed a miracle: filling two boats with fish when the men had caught nothing the night before. When we approach disciplemaking, we come with two miracles: salvation and the enabling and indwelling power of God. •	Second, He invited them to follow him – uneducated fishermen. In making disciples there is a learning process. Disciplemaking starts with raw material. •	Third, Jesus used language they understood. He invited them to catch men. If He had said, “come and be my disciples.” They would have laughed Him off. In no way were they qualified to do that. •	Four, Jesus asked the men to step out of their comfort zone; to leave the job they knew and the comforts of home. He did not offer them any assurances of where their next meal would come or where they would spend the next night. Building Relationships. In the first half of His ministry, the disciples accompanied Him, got to know Him and listening as He taught the multitudes. It was a time of getting connected. During this period of his ministry, Jesus prepared His disciples for life. Teaching. During the latter half of His ministry, perhaps after Peter's confession that Jesus was the Messiah, Jesus turned His attention to teaching His disciples. There is less evidence of public ministry. He prepared His disciples for and gave them practical experience in ministry. Small Groups. We know that Jesus had an especially close relationship with Peter, James and John. 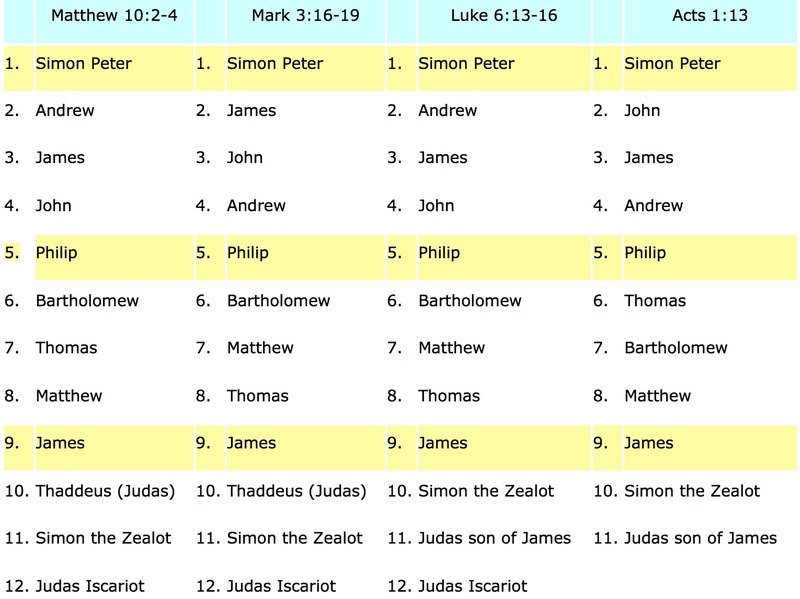 In each of the four lists of disciples, the first, fifth and ninth names are the same (Peter, Philip and James). The three disciples listed after each of these disciples are the same but are listed in different order. This may mean that the disciples lived and moved in groups of four and thereby encouraged each other and contemplated together what Jesus was teaching. 1. Submitting to a teacher who teaches him or her how to follow Jesus. 3. Learning Jesus' way of ministry. 4. Imitating Jesus' life and character. 5. Finding and teaching other disciples for Jesus. Hull believes that churches today focus on elements two, three and four and leave out one and five. He exhorts believers to move discipleship out of the classroom and into action. Bill Hull, Chose the Life (Grand Rapids: Baker Books, 2004) 36-37.